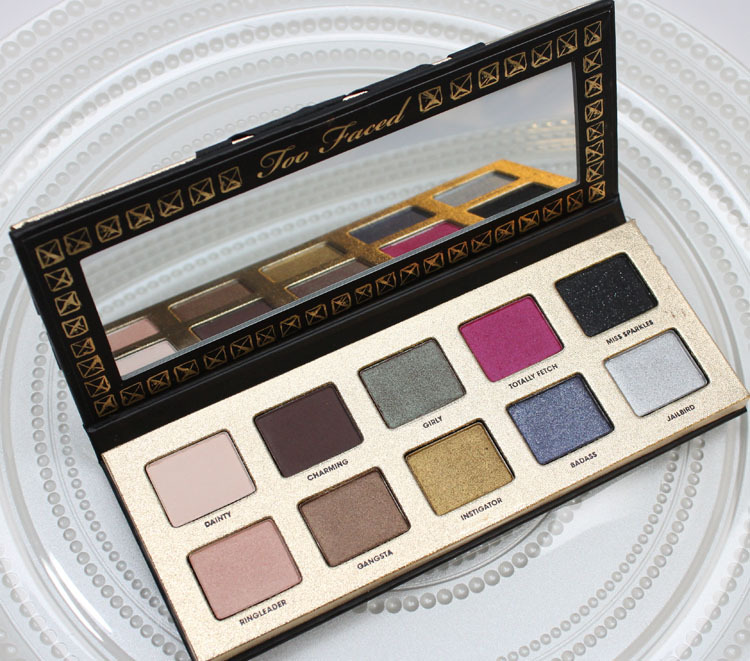 The Too Faced Pretty Rebel Palette for fall 2013 is one pretty fierce lady! 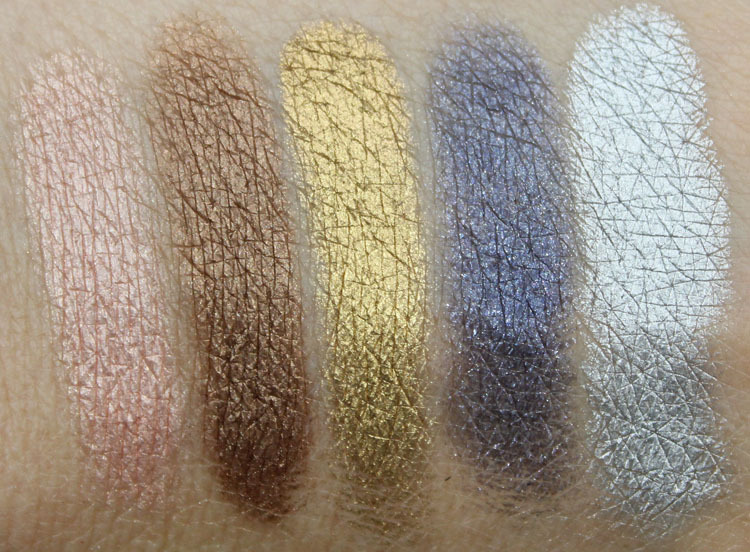 This eyeshadow palette is enshrined in foiled gold and black silky metallic-like stripes. Inside you will find a large mirror and ten new eyeshadow shades. Also included is a handy-dandy How-To Glamour Guide showing you three looks in three minutes. Dainty is a pale pink/vanilla matte. A wee bit chalky perhaps, but nice light matte. 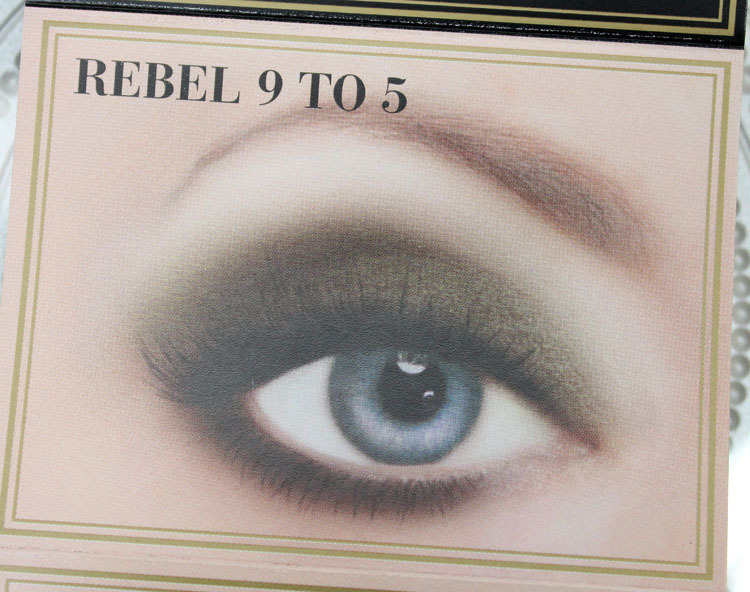 Charming is an intense chocolate brown matte. Nice payoff, nice texture. 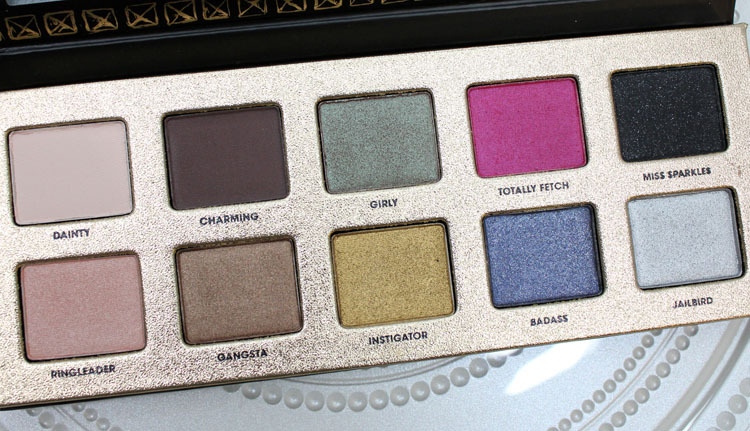 Girly is a green/brown duochrome metallic. 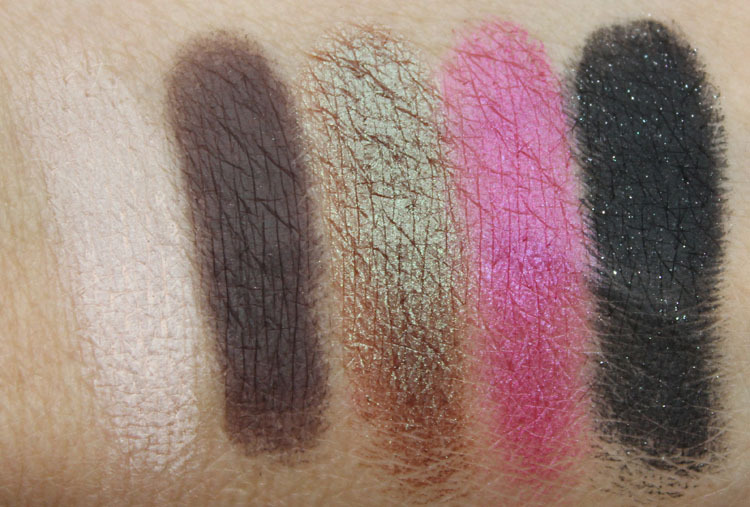 Super intense and soft shade. 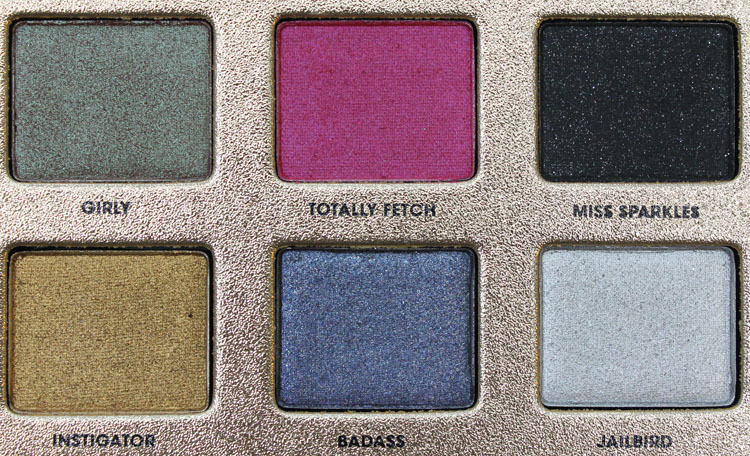 Totally Fetch is a bright pink with sheen. Very bright and soft! Miss Sparkles is a deep black with silver micro-glitter. Great payoff and not too gritty feeling. Ringleader is a shimmery soft peachy pink. Nice texture and pretty shade. Gangsta is an intense metallic bronze. Super soft and amazing payoff. Instigator is a VERY intense old gold metallic. A teeny bit goes a long way, it’s so saturated! Badass is a shimmery medium navy blue. Nice payoff, lots of silver micro-glitter. 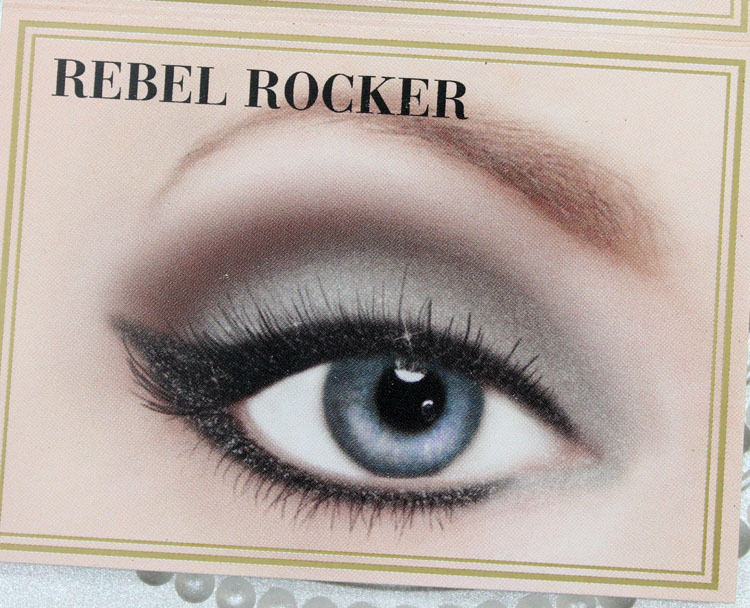 Jailbird is a super saturated metallic silver. Another one that feels super soft and a small amount goes a long way. Overall: There are some really great shades here and for most of these, the texture feels very soft and you get major color payoff. 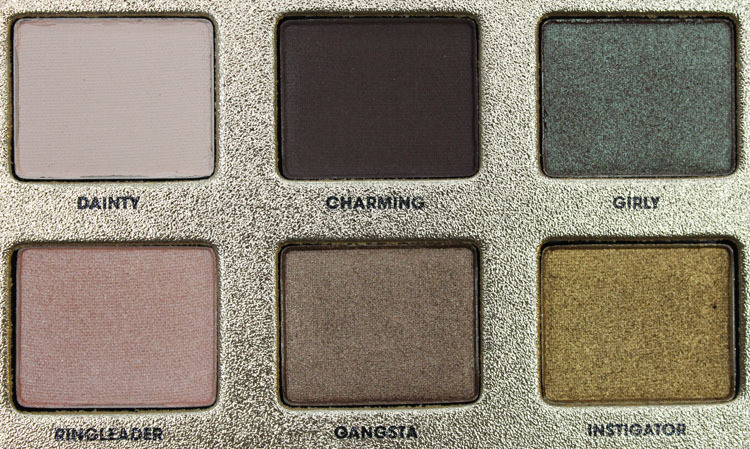 I especially love Charming, Girly, Gangsta, Instigator and Jailbird. I do also like Totally Fetch but bright pink isn’t always easy to everyone to pull off. Thankfully they showed you one way in the little guide included! 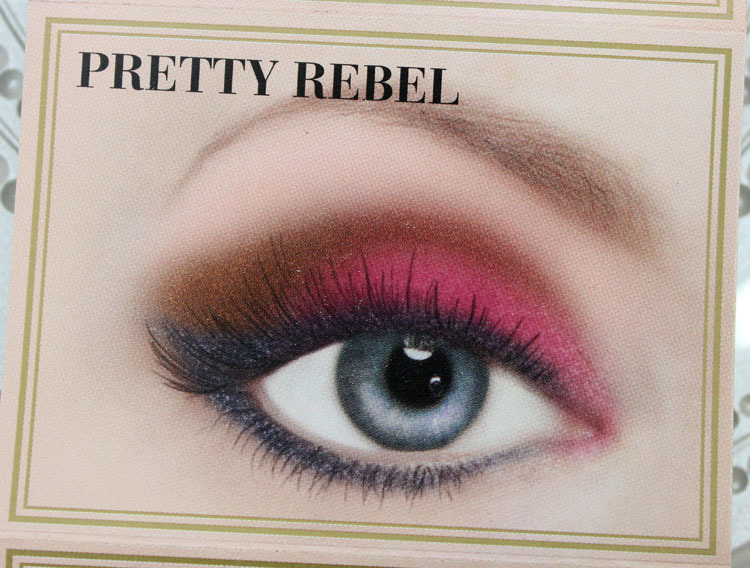 What say you about Pretty Rebel?